Here you have a list of opinions about German referendum, 1934 and you can also give us your opinion about it. You will see other people's opinions about German referendum, 1934 and you will find out what the others say about it. A referendum on merging the posts of Chancellor and President was held in Germany on 19 August 1934, after the death of President Paul von Hindenburg seventeen days earlier. The German leadership sought to gain approval for Adolf Hitler's assumption of supreme leadership. 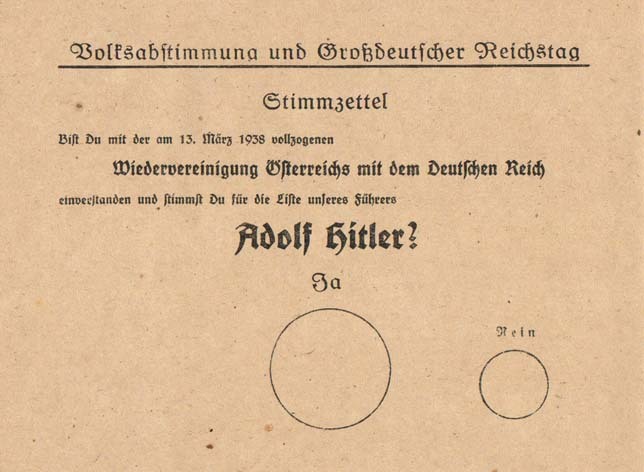 The overwhelmingly positive result of this referendum allowed Hitler to claim public support for his activities as the Führer and de facto Head of State of Germany. In fact, he had assumed these offices and powers immediately upon von Hindenburg's death and used the referendum to legitimate this move, taking the title Führer und Reichskanzler (Führer and Chancellor). Support for merging the offices of president and chancellor was greatest in East Prussia, where 96% voted in favour. It was weakest in Hamburg, where just under 80% voted affirmatively. This regional variation was identical to that in the referendum of 1933. The relative lack of support in Hamburg in 1933 prompted Hitler to declare a national holiday on 17 August 1934 so that he could address the German people directly over the 4.3 million registered radio sets. Of the democratic nature of the referendum, political scientist Arnold Zurcher writes that "there undoubtedly was a great deal" of "intangible official pressure", but "[probably very little] downright coercion and intimidation at the polls". In the image below, you can see a graph with the evolution of the times that people look for German referendum, 1934. And below it, you can see how many pieces of news have been created about German referendum, 1934 in the last years. Thanks to this graph, we can see the interest German referendum, 1934 has and the evolution of its popularity. 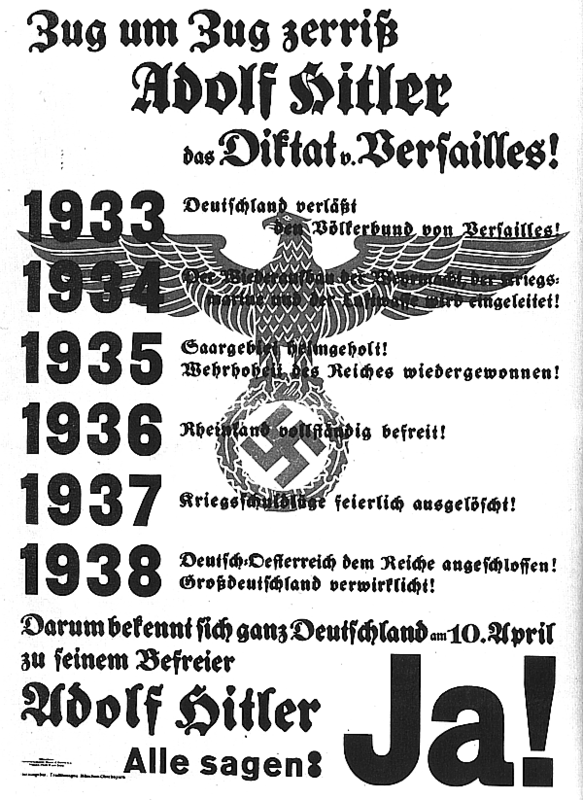 What do you think of German referendum, 1934? You can leave your opinion about German referendum, 1934 here as well as read the comments and opinions from other people about the topic.